ARES urges those at risk from unexploded munitions to consult with trained individuals before entering contaminated areas. Please see the safety notice below. 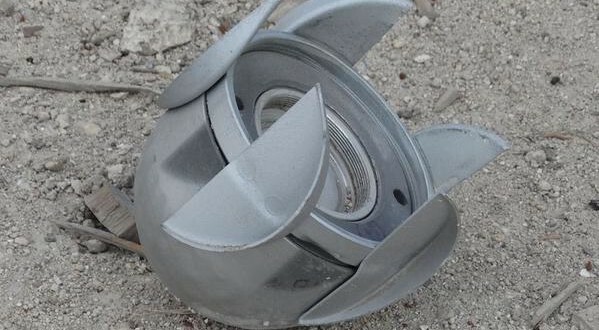 The recently renewed employment of Soviet era submunitions in Syria has led to significant quantities of the aged munitions failing to function (detonate) as designed. Whilst the employment of SPBE series submunition was covered by The Hoplite a few days ago, the AO-2.5RT submunition has been observed since then, allegedly documented in multiple locations within Syria in the last week. Unexploded AO-2.5RT submunitions, from an October strike in Ma’saran, Idlib governorate, Syria. The AO-2.5RT is a high explosive fragmentation (HE-FRAG) submunitions, dispensed from the RBK-500 AO-2.5RT bomb (holding 60 AO-2.5RT submunitions) or from BKF cassettes, contained within a KMGU series universal dispenser, holding a total of 96 submunitions (12 per BKF cassette, with 8 cassettes inside the dispenser). Once released from its cargo munition, the submunition’s I-352V fuze is armed by centripetal force exerted by its rotation through the airstream. Upon impact with a solid surface, the AO-2.5RT is designed to split in half, bounce approximately 1.5 metres off the ground, and detonate its explosive charge of TG-40 (40% TNT/60% RDX) inside the pre-scored fragmentation warheads. One of the noted weaknesses of this design has been a high dud rate against wet or soft targets that cradle and diffuse impact, causing the fuze to remain armed, despite the munition failing to detonate. This weakness is pronounced in irrigated or tilled farm fields, where farmers and workers clear these munitions by hand or strike them with farm implements causing the device to detonate. The prevalence of unexploded AO-2.5RT submunitions has become such that a video attributed to the Free Syria Army has appeared with a detailed teardown of an unexploded Russian AO-2.5RTM, shown below. 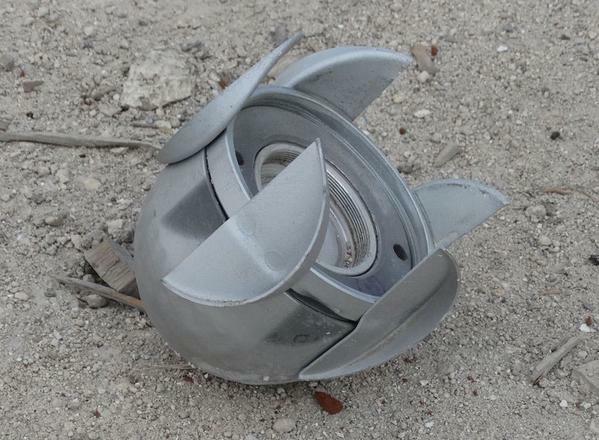 While the AO-2.5RT has been documented within Syria previously, the AO-2.5RTM submunitions have only been sighted in the country after this most recent spate of strikes. Throughout the six minute video, the videographer explains the theory of operation for the submunition and its integral fuze. Most critically, at 2:56 he begins a minute long explanation of the arming and firing mechanics. Through physical manipulation of the free floating firing pin and detonator, he shows how this submunition functions. When halted from spinning or dropped, angular momentum or direct impact drives the firing set together, initiating the firing train. This action may be accidentally completed if the submunition is moved by hand, transported in a vehicle, or during attempts to bury it. Handling, removal, and disposal of unexploded munitions should only be entrusted to trained individuals. The disassembly procedures outlined in this video may cause the munition to function. AO-2.5RT submunitions have previously been documented being employed by Syrian government forces from BKF cassette inside KMGU dispensers. These more recent images and videos appear to suggest the use of RBK-500 AO-2.5RT cluster munitions, with what appears to be remnants of a RBK-series cargo munition seen near the impact site in this video. You cld have made a written translation on the video it cld have helped some of us.